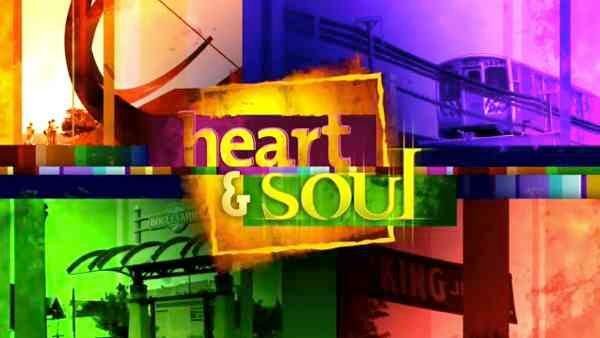 CHICAGO (WLS) -- ABC 7's HEART and SOUL, a series of specials that taps into Chicago's vibrant African American community, aired Saturday, July 29 and will air again on Sunday, August 6 at 4:30 PM. This edition of HEART & SOUL is hosted by ABC 7 Eyewitness Anchor Karen Jordan and Jim Rose, Cheryl Burton, Evelyn Holmes and Will Jones contributing. HEART & SOUL is the winner of multiple Chicago Emmy Awards and an Illinois Broadcasters Association's "Best Public Affairs Program" award. Milauna Jackson is a Chicago Public High School alum who grew up on the city's far south side. This actress spends most of her time in Los Angeles but still considers Chicago home because this is where she got her start. Over ten years ago, she played in the movie "One Week" that was shot here. To date, she has worked with David Duchovny and has worked on shows that have aired on Cinemax, TNT, CBS, NBC and just recently ABC. This past year, Milauna played opposite Academy Award Winning Actress Viola Davis in the hit ABC show "How to Get Away with Murder." When she's not in Hollywood working on set, she makes her way home to experience all that the city has to offer. For many kids, summer is about packing up and heading off to camp. But for some inner city kids with a flair for food, Kendall College Trust sent them to culinary camp.. tuition-free. The aspiring chefs/campers stay in downtown dorms and learn to cook all day in the Kendall College kitchens... then, head 'out on the town' each night to bond and see the sights of Chicago. The Kendall College Trust Culinary Camp program just began last summer and has already doubled in size. Along with this sponsoring unique camp, Kendall College Trust provides $250,000 in scholarships each year. Doris Humphries may be 92 years old but that isn't stopping her from doing what she loves... -dancing-. In fact, Doris-still- dances and even teaches people how to tap dance each week. Doris began her professional dance career when she was just 13 years old and has performed on the same stages as Dizzy Gillespie and Sammy Davis Jr. She even danced in a Three Stooges movie. Each weekend, she teaches an Adult Tap Class at Dance Gallery on the South Side. HEART & SOUL is produced by Rubye Wilson Lane and Holly Grisham.